The Textus Receptus, on which the KJV was based, was supported by a few late MSS gathered by Erasmus. See information on Desiderius Erasmus. These Byzantine manuscripts (MSS) contain this longer ending. The earlier Alexandrian text-type does not contain this longer ending. This is exemplified in the Codex Sinaiticus. I was directed to this article ‘to clarify for any who are confused [over the short vs long ending of Mark 16]. Interesting that some “scholars” muddy the waters and some clarify them. As always, careful research is needed’. 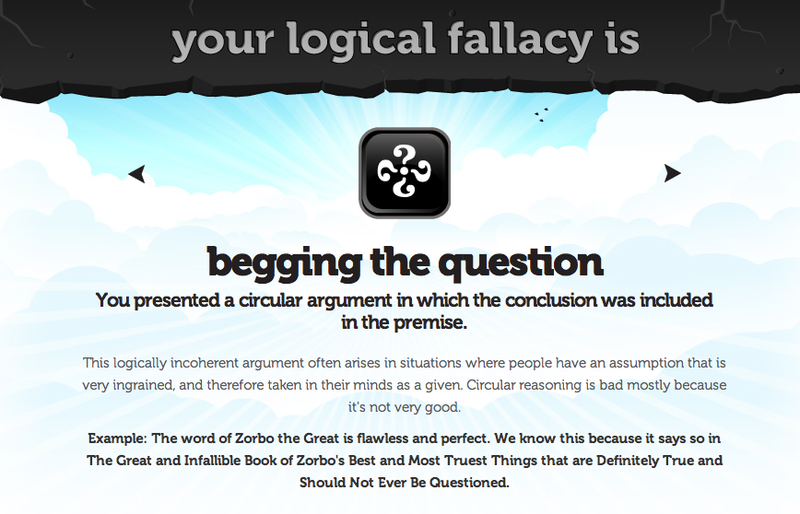 A greater problem for me is the begging the question logical fallacy (or circular reasoning) Snapp committed. What is a begging the question fallacy? Claim X assumes X is true. They [preachers] approached their trusted commentaries and found . . . a spectacular mess. The amount of misinformation that continues to circulate about these 12 verses is staggering. Here are 12 claims about Mark 16:9-20 that should not be taken at face value. To support Mk 16:9-20, he spoke of those commentaries that excluded these verses that contained ‘a spectacular mess … of misinformation’. So, he wants us to understand the opponents of the long ending as supporting this mess of misinformation. Claim X is that the commentators supporting the short ending contain ‘a spectacular mess … of misinformation’. This assumes that the long ending is true if the objections are a mess of misinformation. How does Snapp’s article end? If we deduce (in agreement with J. Rendel Harris, T. C. Skeat, and other researchers) that Sinaiticus was made at Caesarea, and if we also notice that when Eusebius of Caesarea commented about the ending of Mark, he displayed no awareness of the Shorter Ending (even when the subject invited and even demanded mention of the Shorter Ending, if it had been known), we may conclude that the alternative text in the minds of the copyists of both. 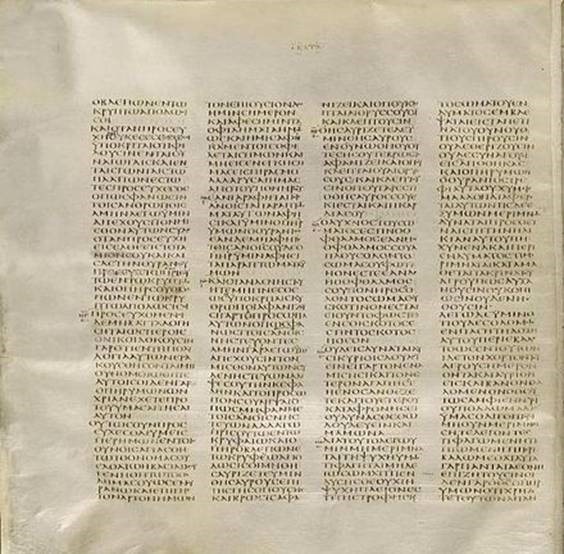 Vaticanus and Sinaiticus, when they produced the anomalous features at the end of Mark in their manuscripts, was verses 9-20. Claim X (part 2) is: Therefore, the long ending of Mark 16 is true. Therefore, Claim X, the long ending of Mark 16, is true. Snapp began with the presupposition that Mark 16:9-20 is Scripture and represents the correct ending of the book. How did he conclude his article? Mark 16:9-20 is the truth of how Mark 16 ends. When discussing logical fallacies, we are not dealing with the information or facts relating to the topic. We expose the erroneous reasoning used. If I begin a message, stating that the Bible is the word of God (claim X, part 1) and conclude that the Bible says it is the word of God (claim X, part 2), I have committed a begging the question (circular reasoning) logical fallacy. I have not provided evidence to support this claim. Logical fallacies prevent reasonable / rational conversation. Why? They divert attention from the topic being debated to some other topic for various reasons. We see it in this example of circular reasoning. James Snapp Jr started with the presupposition that Mark 16:9-20 was the true ending of that chapter and reached the same conclusion after his research. Whether or not Mark 16:9-20 ought to be included in Scripture is not determined by a begging the question fallacy. Fallacies sidetrack discussions by spinning the wheels on a topic or distracting to another topic the person is more comfortable in addressing. Whether Mark 16:9-20 is true or not is determined by research into various areas of transmission of the text, called the bibliographical approach. There are a number of matters that need investigation on any topic. Using a logical fallacy turns the topic to other content. It prevents reasonable conversation on that topic. 1The ESV adds this footnote: ‘Some manuscripts end the book with 16:8; others include verses 9-20 immediately after verse 8. A few manuscripts insert additional material after verse 14; one Latin manuscript adds after verse 8 the following: But they reported briefly to Peter and those with him all that they had been told. And after this, Jesus himself sent out by means of them, from east to west, the sacred and imperishable proclamation of eternal salvation. Other manuscripts include this same wording after verse 8, then continue with verses 9-20 ‘. Copyright © 2018 Spencer D. Gear. This document last updated at Date: 24 October 2018. This entry was posted in Logical fallacies, Mark 16 and tagged Begging the Question fallacy, Mark 16:9-20 on 24 September 2018 by spencer. In searching the Internet for more information on reader-response ways to deconstruct any text, I was attracted to Dr Jeremy Koay’s1 brief article, ‘What is reader-response theory?‘ (2017) This is an exceptional overview of a method that is overwhelming the reading of documents of any kind, whether narrative, poetry or interpretation of art. Even though the article was published in December 2017, no comments had been made to it, so I forwarded my response. I find that a major problem with read-response theory is that it cannot consistently interpret literature. You stated, ‘The idea of pure literal meaning is contestable because our culture, experiences and worldview shape our understanding of words’. Is that how you want me to read your article? Or do you want a literal reading (which includes figures of speech)? Can I engage in postmodern, deconstruction, reader-response techniques with your article to make it mean what I decide it means? Could you imagine the recorded history of Emperor Nero, George Washington, Hitler and the Nazi concentration camps, Captain James Cook circumnavigating NZ and sailing up the east coast of Australia being interpreted by reader-responses? Did Emperor Nero, George Washington, Hitler and James Cook say and do what is recorded in their journals and history about them or is that open to the readers’ interactive deconstruction with our reader-responses from our century and cultures? That’s what we are dealing with in examining any writing from the past or present. I wouldn’t interpret the articles in the Brisbane Times (BT) that way. Imagine my reading your writings with that view? Surely you want me to read this article so that I understand the content of what you mean, within the bounds of English grammar and syntax, rather than imposing 21st century Brisbane environment and my reader-response on your text. If I read the BT like that and passed on my postmodern, reader-response, interactive, contemporary interpretation of today’s BT stories to the people in my community, they would think I was going over the edge mentally. Dr Koay chose to reply by email rather than publishing my letter on the EduMaxi website’s target readers are primarily language teachers (not philosophers)’. So he considered my reply was philosophical. I won’t publish his email because he has not given me permission to do that. However, you’ll pick up some of his content in my response, sent by email on 13 September 2018. I use ‘you’ and ‘your’ in referring to Dr Koay. You say that this is because culture, experiences and worldview shape our understand of words. I don’t disagree with that perspective. However, I contend that my current worldview cannot be used to deconstruct the meaning of, say, John Milton’s Paradise Lost (Stanley E. Fish tried to do it in Surprised by Sin and came to an understanding that, I think, would cause John Milton to turn over in his grave). I consider that I would be cheating Milton to use my culture, experience and worldview to place my meaning on Milton’s poetry written in the seventeenth century. I need to understand the language and concepts he used and the biblical worldview to which he referred. Uncovering the intent of the author is my primary task as an interpreter of any document from your article, to the Brisbane Courier-Mail, or to the Bible. This is done by listening to the ‘plain meaning’ of a text. I don’t use the language of ‘pure literal meaning’, so I don’t know how that differs from taking a text – narrative or poetry – at face value. I obtain the meaning from the text and not from my creative invention (reader-response, pesher method, allegorisation) of the text. How is it possible to use a reader-response interpretation dealing with the Endeavour when Captain James Cook’s name is associated with an ocean-going ship, The Endeavour? Pure literal meaning applies as much to Jacinda Ardern’s being Prime Minister of NZ and Scott Morrison’s recent ascension to the PM of Australia. Is plain reading of a text the same as ‘pure literal meaning’ to you? You stated ‘ This theory rejects the structuralist view that meaning resides solely in the text’. Do you consider that structuralism (meaning because of the language system) has been superseded by postmodern reader-response methodology? I can’t walk into a local fish and chips shop and give a reader-response interpretation to the menu and expect to get what I ordered. I had to ask for clarification when some friends and I had lunch at a local tavern. My friend ordered whiting for the fish dish. He discovered his fish was NZ whiting and not Australian whiting. Questions for clarification are not equivalent to reader-response hermeneutics whether in the supermarket, at Centrelink (social security), reading The Sydney Morning Herald or the Bible. I endorse the perspective that readers engage with a text to question concepts raised, discover etymology of words, cultural divergence from contemporary culture, etc. However, that is not the position you advocate as a theory: ‘Readers, as much as the text, play an active role in a reading experience (Rosenblatt, 1994)’. It is my understanding that readers do not create content of a writing; authors do that. Readers may disagree with the content and provide reasons for such, but creating meaning is not their roles. Readers may develop personal or group applications from the text, but this is not part of the author’s intended meaning. I commend you for treating this reader-response literary device as ‘a theory’, which means it has yet to be proven. According to Wolfgang Iser, ‘the meaning of a text … is not inherent in it but must be produced or actualized by the reader’ (Iser in Culpepper 1983:40, 209). Iser explained the supposed ‘vacant pages’ and ‘gaps’ in a text that a reader uses in active and creative ways. His perspective was that ‘the gaps, indeed, are those very points where the reader can enter into the text, forming his own connections and conceptions and so creating the configurative meaning of what he is reading…. From the given material [the reader] must construct his own conception of the reality and hence the meaning of the text (Iser 1972:40, 276, emphasis added). ‘While the meaning of the literary work remains related to what the printed text says,… it requires the creative imagination of the reader to put it all together’ (Iser 1980:142). ‘More recent research (Eco 1985 and 1994; Iser 1980; Ricoeur 1992) has accentuated the creative role of the reader in interaction with the text. Intertextuality is a component of this dialectical process’ (Zumstein 2008:135 n. 17). John Dominic Crossan: ‘‘This, then, is my working definition of history: History is the past reconstructed interactively by the present through argued evidence in public discourse’ (Crossan 1998:20; 1999:3 emphasis in original). That aborts my research as an historian and historical Jesus’ scholar. It would cause my examination of the historical HMS Endeavour, Captain James Cook, and the historical Jesus, to be a contemporary mish-mash of historical evidence and personal, contemporary, public deconstruction. Historians should hang up their historical credentials and become innovative writers of historical fiction if they pursue reader-response methodology. While you state reader-response is a theory for you, it is not so for many other postmodern writers. In using this example, I consider you have confused the ‘gaps’ in reader-response theory with committing An Argument from Silence logical fallacy. Person 2: Then, it is true his father drove him to school (but the boy leaves out a lot of evidence that Person 2 creates about the vehicle). You state that you ‘do not equate this to a “pure literal meaning”’. Is ‘my father drove me to school’ literally true? If so, then it conforms to a ‘pure literal meaning’. The reason this technique works so well, is because imagined reasons are often more persuasive than real reasons. If someone wants to be convinced, this technique works like a charm. However, to the critical thinker, this will not fly. Silence is not a valid substitute for reason or evidence (Bennett 2018). You also use an Argument from Silence fallacy in your statement: ‘For me, the fact that you (not other readers) commented on my blog suggests that you and other readers may have ‘read’ it differently’. Do you have evidence to prove this statement? You don’t expect readers to understand the intended content of what you wrote because of their different worldviews? I find this to be ambiguous. Because I may have a different worldview to yours, that does not mean I cannot objectively (but imperfectly) examine the words, grammar, syntax and content you wrote so that I could respond online to your article. That is what I did originally and is what I’m doing now to your email reply. I observe that you were able to deal with the content of what I wrote – without any difficulty – so you could email me your response. I did not observe any creative, reader-response of filling in the ‘gaps’ in your reply. You did clarify what you wrote in response to my ‘comment’ to your article. You gave statements about those who do and do not agree with ultimate truth because of their differing worldviews. One was: ‘ Others believe that since we can’t objectively assess an ultimate truth, they subscribe to the idea of versions of realities’. Because you dealt with the generic ‘some’ and ‘others’, it makes it difficult to respond when there is a lack of specifics. However, in my research (480pp dissertation in New Testament, University of Pretoria, South Africa) I noted that some deconstructionist, reader-response promoters reject any examples of absolute truth (e.g. Iser, Crossan, Derrida, etc.). Your statements included those who believed, ‘Since we can’t objectively assess an ultimate truth, they subscribe to the idea of versions of realities’. Are they absolutely sure of this belief? That should be shattered on the absolute truth that driving rules in New Zealand and Australia require that we drive vehicles on the left-hand side of the road. Any other side is an aberration by those breaking the law or for legitimate reasons (e.g. road works). With this denial of absolute truth in Aust and NZ, does it include a denial of the moral view that it is wrong to murder and steal? Bennett, B 2018. Logically fallacious (online). Available at: https://www.logicallyfallacious.com/tools/lp/Bo/LogicalFallacies (Accessed 13 September 2018). Culpepper, R A 1983. Anatomy of the Fourth Gospel. Minneapolis MN: Fortress Press. Fish, S E 1980. Is there a text in this class? London and Cambridge, Massachusetts: Harvard University Press. Fish, S 1987. Surprised by sin: The reader in Paradise Lost. New York: Macmillan. Iser, W 1980. The act of reading: A theory of aesthetic response. Baltimore and London: Johns Hopkins University Press. Koay, J 2017. What is reader-response theory? EduMaxi, 5 December. Available at: http://www.edumaxi.com/what-is-reader-response-theory/ (Accessed 13 September 2018). Zumstein, J 2008. Intratextuality and intertextuality in the Gospel of John. In T Thatcher & S D Moore (eds), Anatomies of narrative criticism, 121-136. Atlanta: Society of Biblical Literature. 1Dr Jeremy Koay is a New Zealand-based Independent Researcher and a Research & Development Consultant at EduMaxi. He obtained his PhD in Applied Linguistics from Victoria University of Wellington in 2015. His research interests include Discourse Analysis, Genre Analysis and TESOL (Koay 2017). Copyright © 2018 Spencer D. Gear. This document last updated at Date: 14 January 2019. This entry was posted in Postmodernism, Reader-Response Methods, Worldview and tagged deconstruction, postmodernism, reader-response on 13 September 2018 by spencer. Do all of the OT Ten Commandments appear in the New Testament? I can discern only one change from the Old Covenant to the New Covenant and that is with the Fourth Commandment. NT Christians no longer are required to worship on the Saturday Sabbath. Instead, they worship on the Lord’s Day (Sunday). Sunday or Saturday worship for Christians? Fourth Commandment OT: ‘Remember the Sabbath day by keeping it holy. 9 Six days you shall labour and do all your work, 10 but the seventh day is a sabbath to the Lord your God. On it you shall not do any work, neither you, nor your son or daughter, nor your male or female servant, nor your animals, nor any foreigner residing in your towns. 11 For in six days the Lord made the heavens and the earth, the sea, and all that is in them, but he rested on the seventh day. Therefore the Lord blessed the Sabbath day and made it holy’ (Ex 20:8-11). Change of Fourth Commandment NT: The transfer of the celebration of divine worship from the Saturday Sabbath to the Lord’s day, Sunday, is demonstrated by these passages from Paul’s writings and ministry: 1 Cor. 16:2; Acts 20:7ff; Rev. 1:10. Christians are not to observe days and even Sabbath days according to the following Scriptures: Romans 14:5ff, Galatians 4:9-11; 5:1-15 and Col. 2:16-17. Sixth Commandment OT: ‘You shall not murder’ (Ex 20:13). Sixth Commandment NT: ‘You know the commandments: “You shall not murder, you shall not commit adultery, you shall not steal, you shall not give false testimony, you shall not defraud, honour your father and mother’ (Mark 10:19). Seventh Commandment OT: ‘You shall not commit adultery’ (Ex 20:14). Seventh Commandment NT: ‘‘Which ones?’ he enquired. Jesus replied, ‘“You shall not murder, you shall not commit adultery, you shall not steal, you shall not give false testimony….’ (Matt 19:18). Ninth Commandment OT: ‘You shall not give false testimony against your neighbour’ (Ex 20:16). Ninth Commandment NT: ‘You know the commandments: “You shall not murder, you shall not commit adultery, you shall not steal, you shall not give false testimony, you shall not defraud, honour your father and mother’ (Mk10:19). Tenth Commandment OT: ‘You shall not covet your neighbour’s house. You shall not covet your neighbour’s wife, or his male or female servant, his ox or donkey, or anything that belongs to your neighbour.’ (Ex 20:17) Tenth Commandment NT: ‘The commandments, ‘You shall not commit adultery,’ ‘You shall not murder,’ ‘You shall not steal,’ ‘You shall not covet,’ and whatever other command there may be, are summed up in this one command: ‘Love your neighbour as yourself’ (Rom 13:9). 1 With help from ©1998 Truth On The Web Ministries: Brian Hoeck. Available at: http://www.truthontheweb.org/nt10com.htm (Accessed 8 September 2018). 2 Unless otherwise stated, all Bible quotations are from the New International Version (NIV) of the Bible. This citation is from the New Living Translation of the Bible. Copyright © 2018 Spencer D. Gear. This document last updated at Date: 8 September 2018. This entry was posted in Pentateuch and tagged New Testament, Ten Commandments on 8 September 2018 by spencer.